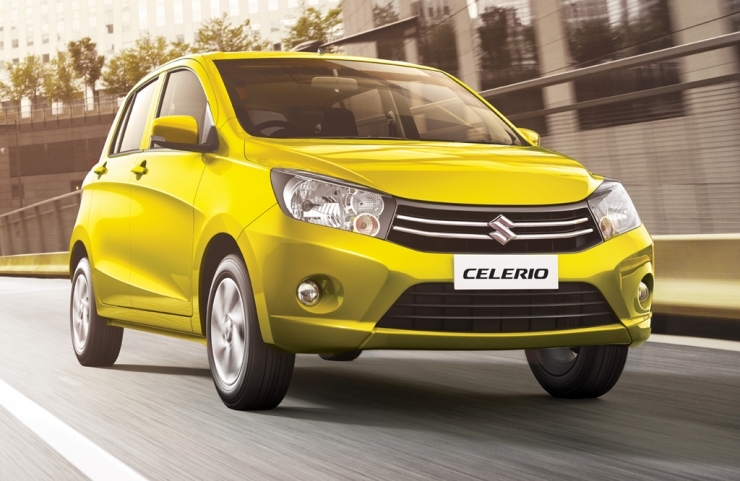 Early next year, Maruti Suzuki is expected to roll out the first sub-1 liter turbo diesel engined car, in the form of the Celerio Diesel hatchback. The ZDi variant of the Celerio Diesel was spotted recently and the hatchback is expected to be one of the most fuel efficient diesel powered cars in India, with a 30 Kmpl fuel economy number said to be Maruti Suzuki’s target. The engine of the Celerio is likely to be a refined version of the 792 cc, twin cylinder turbo diesel engine that will first power the Y9T pick up truck, due in early 2015. The advent of the Celerio Diesel is expected to open the floodgates for small diesel cars from Maruti Suzuki, with the likes of the WagonR and Alto K10 being possible candidates for adopting diesel power. However, Maruti Suzuki could face significant headwinds with its small diesel car strategy given the fact that the rupee price differential between petrol and diesel fuels is now the lowest ever in India, at 12 rupees (New Delhi). This low price differential, despite a diesel engine’s higher fuel efficiency, means that a diesel powered small car will take longer to give its owner cost savings, vis-a-vis buying a petrol powered car. Also, the initial purchase price of a diesel powered car is significantly higher than that of a petrol powered, or for that matter, even a CNG/LPG powered car. Despite these seemingly major obstacles, Maruti Suzuki is gung-ho about diesel powered cars. The automaker’s optimism isn’t misplaced though. Maruti Suzuki’s sales split ratio of petrol and diesel cars, is 29:71, which is well below the industry average of 49:51. Maruti Suzuki plans to address this by launching small capacity diesel cars, which are expected to lead big growth for the automaker. So far, Maruti’s major sellers such as the Alto, WagonR and Celerio have been petrol-only vehicles and the incremental volumes that a diesel engine could give these cars is something that cannot be taken lightly as these cars bring in about 40 % of Maruti Suzuki’s sales. If Maruti Suzuki cracks the small capacity turbo diesel engined car market, expect other car makers to join the party too.